March 4, 2015 by Ecommerce News. 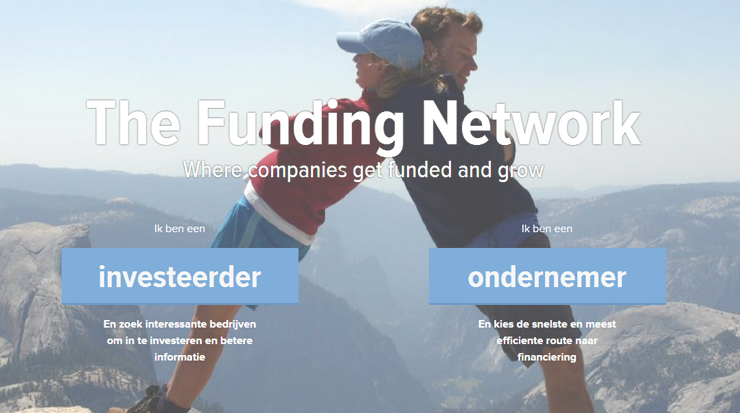 About Funding, Launch with tags The Netherlands. 2430 views. Crowdfunding platform Symbid today announced the launch of the Funding Network. This is a platform that connects small- and medium-sized enterprises to all types of funding, whether they are traditional or alternative like crowdfunding. According to Symbid, their Funding Network is the “first comprehensive online platform for SME finance, providing entrepreneurs with direct access to equity and loan crowdfunding, bank loans, venture capital, angel investors and investment funds”. Private and institutional investors will get full transparency on the potential risks and returns of their portfolio. Every entrepreneur who connects to The Funding Network will be guided towards the right type of funding with professional financial advice. Thanks to a partnership with financial advisory firm Credion the expected total transaction volume of The Funding Network this year is 720 million euros. “Symbid aims to revolutionize the financial industry in a way that enables more people to connect, fund and grow. We have but one message: let’s invest in each other”, Zandvliet concludes.